Numerous construction sites in downtown Salina were idle Wednesday morning after temperatures dipped to 6 degrees Fahrenheit, with a wind chill of -8 degrees. 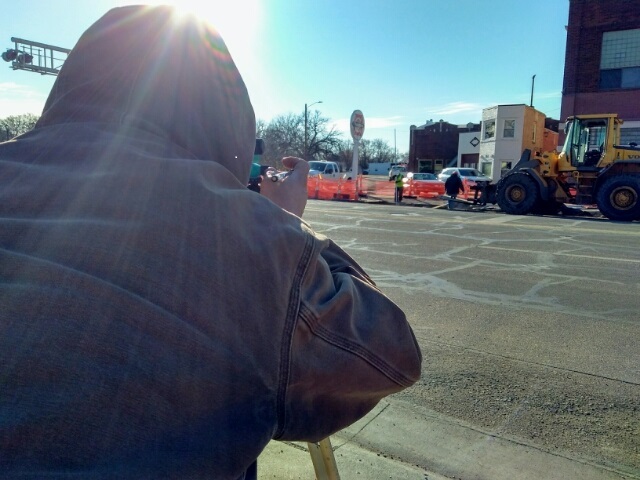 Despite the frigid conditions, one crew from Smoky Hill Construction was on the job near the intersection of 4th Street and Iron calculating flowline elevations for storm sewer pipes in the area. 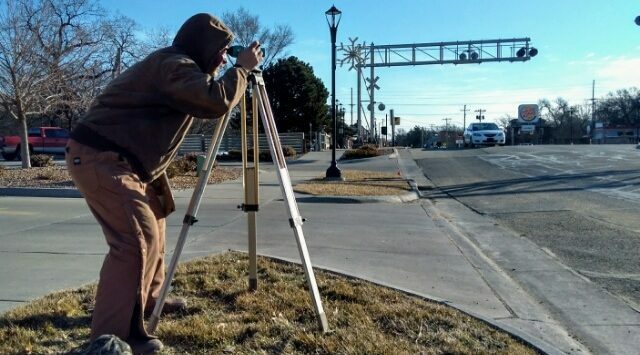 Bill Lahodny with Smoky Hill Construction tells KSAL News that he does not mind the cold, until it’s time to record some of his measurements with pencil and paper. 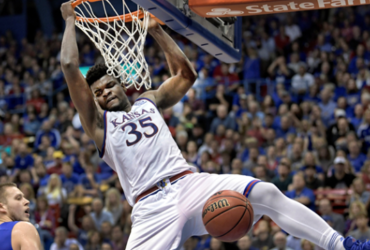 “The worst thing is writing down my shots with my glove off,” he said. The forecast from the National Weather Service predicts Salina will see a quick turnaround, with temperatures reaching 40 degrees by Thursday, 50 on Friday then climbing all the way to 60 degrees by Sunday. elevation drop between the north and south side of Iron Ave.